JEFFERSON CITY, Mo. – Missouri’s candidates for the U.S. Senate race are wasting little time and jumping into the next step of their campaign. Democratic Sen. Claire McCaskill and Republican challenger Josh Hawley kicked off their matchup in the upcoming November election before all of the results were even in on Tuesday night, and they’re already debating about debates. The two candidates both issued letters in the following hours, calling for verbal sparring matches with their opponent, but it seems the two have different ideas about how they will be handled. In a letter sent to Hawley’s campaign headquarters, McCaskill called for four town-hall style debates, in addition to the Missouri Press Association’s debate on Sept. 14, to be moderated by local journalists. 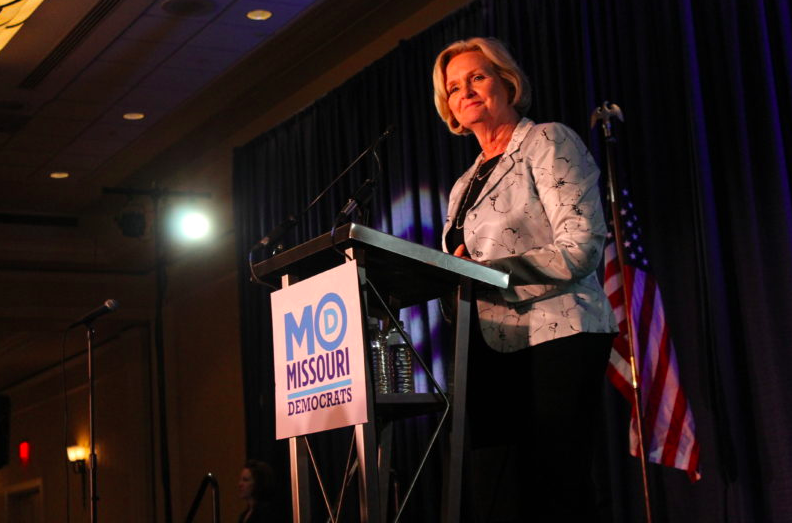 “Missourians deserve the same chance to ask you questions and hear your answers as they have consistently had with me,” she wrote, noting that she has held more than 50 town halls since 2017. But Hawley also put out a letter calling for a different style of debate, one to be held “on the back of a flatbed truck,” one that he says his campaign has set up to be taken anywhere across the state. Hawley said he accepted debates with KMOV, KSDK, KFVS, KOLR, Fox News and CNN, and said that if other stations are interested in hosting a debate, his campaign will accept those, too.